If you think you are going to go to Cancun and completely avoid any solicitation from timeshare salespeople, forget it. It's going to happen to you, probably more than once. So the best thing to do is to read this information and your vacation will be that much more enjoyable. 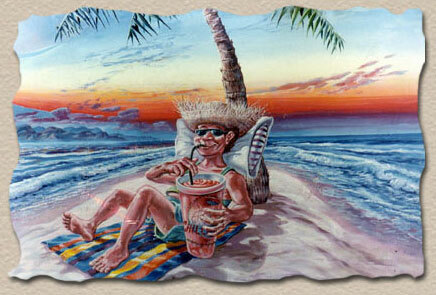 Timeshares are also know as Vacation Ownership. They allow you to purchase a specific period of time at a specific resort, often one or two weeks. Most timeshare developments allow you to trade the week you own in a specific resort with another resort location somewhere else in the world. This ability to 'swap' locations prevents you from having to vacation in the same location year after year if you want to try something different. The concept of timeshares makes sense for many people as long as they have a full awareness of what it is that they are buying. One of the things you are 'not' buying with a timeshare is real estate. You are only buying the future right to stay in a resort, the actual real estate title stays with the developer. Another thing you are not buying with a timeshare is any guaranteed appreciation. Although it is possible that the week or two you own in Cancun may increase in value, it is also very possible that it may decrease in value. Buying timeshares as an investment is usually not a good idea. Buying them for personal use and enjoyment is the main reason for buying a timeshare. Timeshares are promoted as a way to "lock-in" the cost of your future vacations. This idea made a fair amount of sense in the days of high inflation, when hotel room rates were significantly higher year after year. That particular aspect of timeshares is not as important today as it once was. Most of today's timeshare developments are very exclusive, not unlike 5 star resorts. Since the timeshare business has become so competitive (and profitable), most developers go out of their way to offer a product that is exceptional in many ways. Most of the timeshares in Cancun are right on the beach. Many of them have elaborate grounds and facilities, including swimming pools and nearby restaurants and lounges. Many timeshares are built adjacent to, and have some affiliation with, large hotels either nearby or on the same premisis. Timeshare developments are usually sold by salespeople who try to get your attention at various locations throughout Cancun such as at the airport, small booths located throughout town, and even the lobbies of the various hotels in town. The main goal of these (young and attractive) sales people is to get you to attend a presentation about their particular timeshare resort. To encourage you to attend their presentation they will entice you with something free, such as a free breakfast, a free cruise on a catamaran, or something of similar value. It's a numbers game. The more people they can get to say 'yes' to the freebie, the more units they will sell by the end of the day. So if you want to enjoy your stay in Cancun with the knowledge that you will be approached by these sales people, Carlos Fiesta has a few key suggestions to make your life easier. If you have no interest in purchasing a time share don't slow down or stop when these friendly people try to get your attention. Once you stop it's hard to get away. A simple smile and a "no thank you" will keep you on your way and allow them to work on that nice couple from Ohio who are right behind you. If you have an interest in purchasing a time share don't purchase one on your first trip to Cancun. Get to know the area, have some fun, and then bring your checkboook down on the next trip. There's no shortage of nice timeshares in Cancun. If you are considering taking these folks up on their free offer for a breakfast or a sunset cruise, set a date towards the latter part of your trip for your freebie. There are plenty of things to see and do in Cancun, and sitting in a dark room watching a slide show of people laying next to a pool is not one of them. That should be you laying next to the pool at the hotel you already paid for! Understand that evey minute you spend talking to a timeshare salesperson, walking through the grounds of a timeshare resort, or sitting listening to a timeshare presentation is one less minute you have to enjoy the vacation you have planned and waited for all year. Now get out there and have some fun! 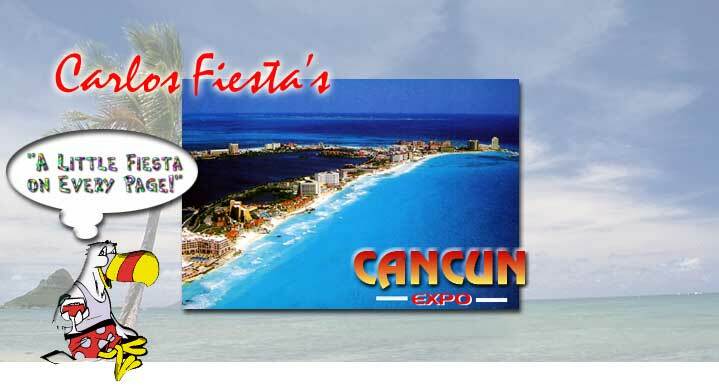 For more information os some of the timeshare resorts available in Cancun drop by the TIMESHARES section of Cancun Expo.